Italy has had recent successes in retrieving antiquities looted from archaeological sites. But what about about other source countries? I have been re-watching Network: The Illicit Trade of Antiquities (DVD) that has Greece as a focus. One of the cases dates back to May 1998 when the Greek authorities intervened in the suspected purchase of a large classical bronze figure of a youth ("Police in Germany seize cache of Greek antiquities", AP, May 30, 1998). A police raid intercepted the statue in a crate (apparently labelled "USA") at Saarlouis and arrested a man, Michail Kotsaridis, a Greek national who lived in Saarbrücken, Germany. The 1.5-meter bronze statue, covered with barnacles and salt, is missing its arms but otherwise intact. Police said they believe it was found underwater near the western Greek port of Preveza. Images clearly show that the piece had clearly been underwater. 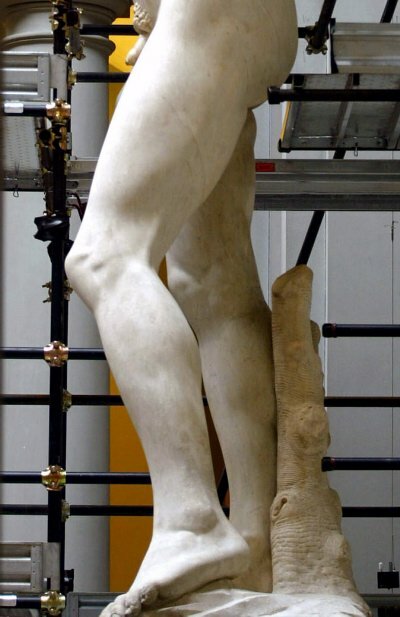 Giorgos Tzallas of the Greek police force, claimed in the Network interview that the statue was due to be sold to either the J. Paul Getty Museum for $6-7 million or a Japanese collector for $6 million. Apparently Leon was due to receive $1 million for acting as the middle man. There is no suggestion that Marion True was going to buy the piece once she had seen it. Also seized were 311 coins, 103 bronze objects and 39 clay animal figurines, all believed to be from the classical Greek period. Kotsaridis was imprisoned for 15 years but no action was taken against any further parties. The statue has been on display in the National Museum in Athens. But what was its context? Was it from a late classical shipwreck? In other words, was the wreck contemporary with the statue (like the bronze head of a "philosopher" from the Porticello shipwreck)? Or was the wreck of the Roman period reflecting the removal of "works of art" to Italy? Or had it been jettisoned (as the Riace bronzes seem to have been). We just do not know. The information has been lost. The "Preveza" athlete reminds us of a world of intermediaries acting between the looters and collecting institutions. Would "The Saarlouis Youth" be more accurate?